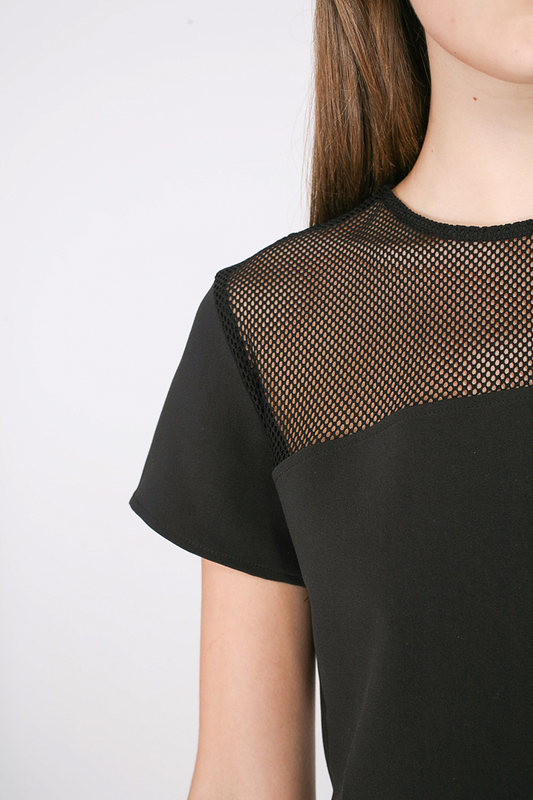 Sports luxe gets a feminine update in the form of the Domico Top. 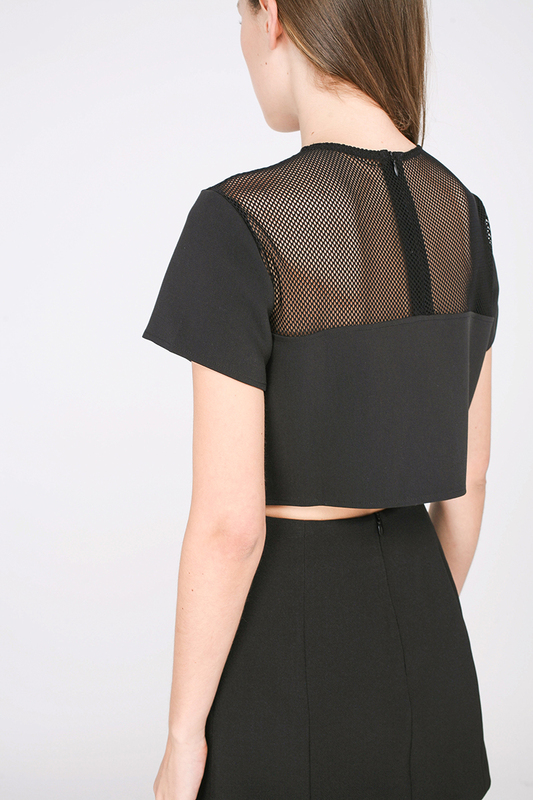 This cropped number features a mesh panel that frames your décolletage, adding a delicate contrast to the boxy silhouette. Cut from a lightweight poly-blend, try pairing yours with a pencil skirt for a work-appropriate look. Length 14.5" 15" 15.5" 16"